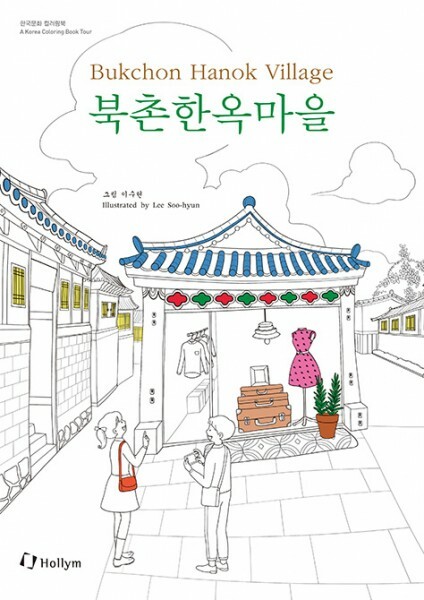 Produktinformationen "Bukchon Hanok Village Coloring Book Ausmalbuch"
‘A Korea Coloring Book Tour’ series is designed to appeal to a wide range of readers who may or may not have already visited the places being featured. Those who are yet to visit these places will enjoy their vivid ambience as if they were actually visiting, and for those who have visited the places, the series will bring back memories they would happily recall. A neighborhood of some 900 traditional houses in the heart of Seoul, Bukchon, or the “Northern Village,” is loved by many people seeking to explore and appreciate Korea’s traditional culture and ancient atmosphere. The book takes readers to the scenes of some of Bukchon’s most famous views, charming small folk art museums and craft workshops, where they can discover the quintessence of traditional Korean arts and culture. As they color the drawings of the beautiful hanok houses, hand-crafted kites in interesting shapes, ornamental knots and tassels, and puppets with intriguing expressions, the readers will get a glimpse of the cultural and artistic sensibility of ancient Koreans, approaching the ideals they pursued in designs and patterns on everyday objects. Weiterführende Links zu "Bukchon Hanok Village Coloring Book Ausmalbuch"
Unser Kommentar zu "Bukchon Hanok Village Coloring Book Ausmalbuch"
Kundenbewertungen für "Bukchon Hanok Village Coloring Book Ausmalbuch"